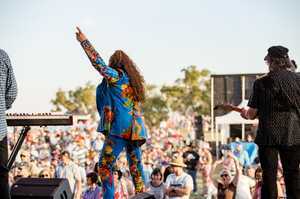 See legends of Aussie rock Jon Stevens, John Paul Young, Ross Wilson, Deni Hines and Pseudo Echo at the iconic Jimbour Station for the Day on the Plain concert. Join thousands of other music fans for great tunes, an open air bar and market lane behind a one-of-a-kind colonial mansion. It's the best of classic Aussie rock — west of the Great Divide.